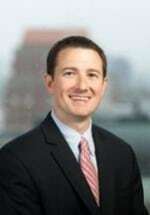 Evan C. Ouellette is an associate with Brody, Hardoon, Perkins & Kesten, LLP. He has tried multiple civil and criminal cases in the Superior and District Courts of Massachusetts. He has also argued before the United States Court of Appeals for the First Circuit and the Massachusetts Appeals Court. Mr. Ouellette also appears regularly before the Massachusetts Commission Against Discrimination (MCAD). Mr. Ouellette concentrates his practice on representing municipal defendants in all aspects of civil litigation, especially cases involving civil rights claims and employment related matters. Prior to joining BHPK, Mr. Ouellette served for ﬁve years as an Assistant Corporation Counsel within the City of Bostonʼs Law Department, where he defended federal civil rights and police misconduct cases on behalf of the City, including actions alleging excessive force resulting in death and wrongful conviction claims. Mr. Ouellette represented the City in all areas of municipal litigation, including employment law, tort and contract actions and appeals. He also prosecuted afﬁrmative recovery actions on behalf of the City. Mr. Ouellette also served as a Supervising Assistant District Attorney within the Suffolk County District Attorneyʼs Ofﬁce, where he prosecuted violent crimes, drug-related offenses and civil rights violations. Within this role, Mr. Ouellette personally conducted over thirty trials. Mr. Ouellette also served as a law clerk to the justices of the Massachusetts Superior Court. Sexual Misconduct in Schools, Camps, etc. Brody, Hardoon, Perkins & Kesten, LLP, is located in Boston, Massachusetts, and serves clients in a broad range of surrounding locations, including Boston, Belmont, Beverly, Braintree, Brookline, Cambridge, Canton, Concord, Franklin, Gloucester, Haverhill, Lynn, Marlborough, Methuen, Natick, Newton, Quincy, Salem, Winchester County, Suffolk County, Middlesex County, Plymouth County and Essex County.